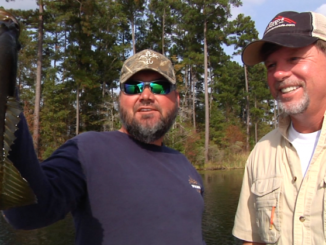 The Sportsman TV crew loaded up and traveled over to near Brookhaven, Mississippi for this week’s episode featuring bass fishing on Lake Okhissa. 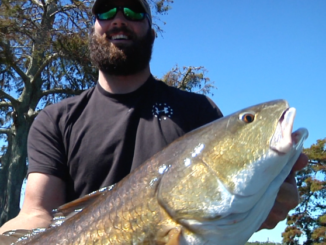 This week the Sportsman TV crew gets twisted with Fin Twisters Guide Service in Venice, where Capt. Walter Heathcock took host Greg Hackney and Bowie Outfitters’ Lee Benoit on a grand tour of the coast. 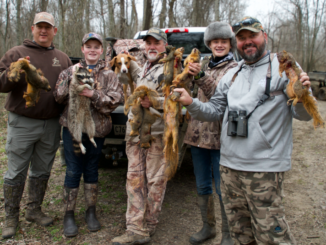 Raccoon hunting with dogs has a year-round open season in Louisiana — a perfect scenario for another action-packed, brand new episode of Sportsman TV. 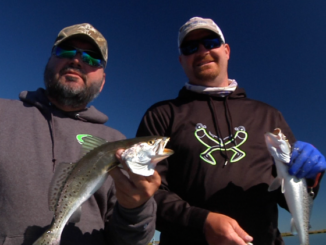 Trout anglers are fired up to be heading into some of the best fishing conditions all year, so the Sportsman TV crew headed down to Dularge to visit with Capt. 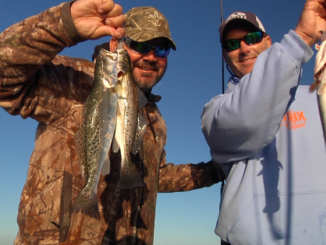 Marty LaCoste to see how he locates springtime specks. 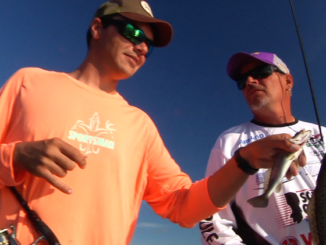 This week’s episode of Sportsman TV features a tried and true — but often forgotten trick of inshore fishing — live cocahoe minnows. The cocahoe used to be a mainstay in boats across the coast, but as they became less available anglers started using live shrimp and croakers more often. 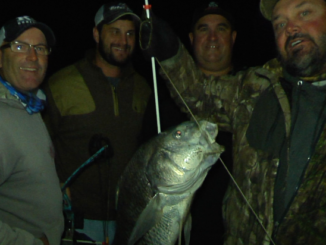 Arrows were flying for the latest episode of Sportsman TV, when host Greg Hackney and the crew traded in their rods and reels for bows and arrows and experienced some intense bowfishing action out of Dularge. Trout fishing is a lot like real estate: It’s all about location, location, location. Being in the right place — at the right time — can help you cash in on hungry schools of trout and fill a box. 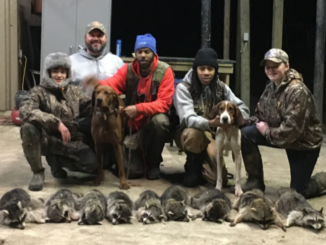 Sportsman TV host Greg Hackney is never at a loss for words, but his co-host this week was: Sue Bob, a top-notch squirrel dog, just kept her nose on the ground and tracked down bushy tails for tonight’s brand new episode. 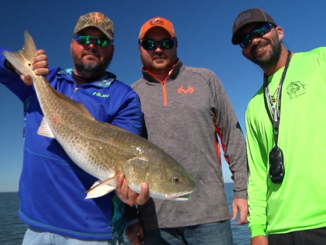 Venice is always one of the top filming destinations for Sportsman TV: Over the last five seasons, host Greg Hackney and producer Jared Serigne have a filmed a number of episodes there, ranging from bass fishing to duck hunting to targeting redfish, red snapper and tuna. 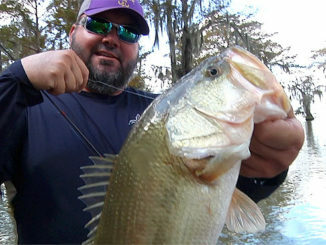 Sportsman TV kicks off its sixth season tonight with an episode that will be sure to get bass fanatics fired up. 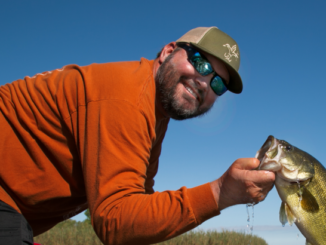 When he’s not touring the United States on the Bassmaster Elite Series, pro angler and Gonzales resident Greg Hackney is the host of Louisiana Sportsman’s Sportsman TV — a gig that allows Hack to broaden his horizons in the outdoor world, and have a lot of fun doing it.